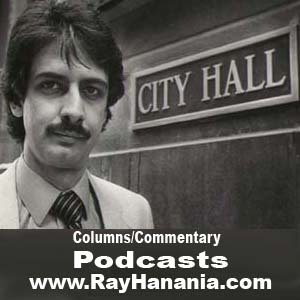 Ray Hanania is an award winning Palestinian American columnist. Named "Best Ethnic American Columnist" for 2006/07 by the New America Media. He is the recipient of four Lisagor Awards from the Chicago Headline Club and the 2009 Sigma Delta Chi Award for column writing from the Society of Professional Journalists. Visit his website at www.TheDailyHookah.com. Find his podcasts on iTunes and on Vimeo.